Matt Morris started his motorsport career as a designer at Cosworth, getting some experience with the company at races after joining their test and race team. He moved to Williams and to Sauber, all the while making steps up the design and engineering ladder, before joining McLaren at the end of 2013 and becoming their engineering director. Having secured a degree in mechanical engineering, Morris joined the Cosworth engine manufacturers as part of the design group. He moved to their race and test team in 1999, remaining out on the road for four seasons, and then rejoined the design group in a more senior role. For the 2003 season, Morris joined Williams as a senior systems engineer. After three years in that role he was promoted to head of the transmission department, focusing on gearbox development for the squad. After several years in that role, he opted to move to a broader position at Sauber AG, taking up the head of mechanical design role. 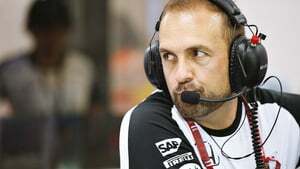 He was promoted to Chief Designer just three months after joining Sauber and he retained that position until moving to McLaren at the end of 2013. As Engineering Director, Matt is involved with all the design aspects of the car, from early concepts through to feedback from components at the track.